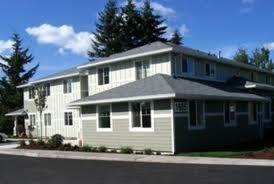 Housing for Developmentally Disabled adults ONLY. Developmental Disability must be long-term, continued and be of indefinite duration. HUD Project-based PRAC 811 property with subsidy for all qualified applicants. Income limits apply. Rent based on 30% of adjusted monthly income, even if 30% of income is above the highest rent listed. Located in beautiful Centralia WA, known for it's historic ambiance, great shopping, recreational opportunities and factory outlet stores. Two story building, all one bedroom apartments with same square footage.